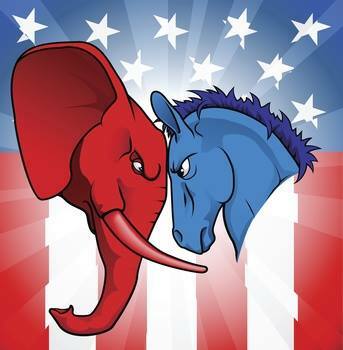 Red v. Blue: American exceptionalism | The Gettysburgian. Many oppose the ideal of American exceptionalism because they falsely believe it implies denying the United States’ historical follies and transgressions. Therefore, far left academics despise American exceptionalism and ultimately avoid using it in any context whatsoever. Progressives believe America is no more exceptional than France or Uganda. Slavery, the Trail of Tears and imperialism, to name a few, are evidence that our nation is an evil white patriarchal society that requires structural change and reevaluation of its contributions to the history books. Therefore, students must be taught the evils of American history much more than natural rights and freedoms granted by the Declaration of Independence and our Constitution. In order to promote this, people paint conservative thinkers as imbecilic fools threatening American education. This was no more evident than when an Oklahoma lawmaker recently proposed that the new AP US History framework was too critical of our nation and it was a radical departure from the true legacy of American history. He threatened budget cuts unless the curriculum was changed to promote America in a broader, more balanced view. Never did he say America should ignore its mistakes but rather that we should teach our children that we are still the most progressive and influential country in the world. Critics reviled the fact that a lawmaker would dare defy the experts and demand a textbook be changed. In their view, anybody who even suggests America is not an evil regressive nation is hampered by naiveté and has never seriously studied history. In reality, the lawmaker was not arguing for a simple, condensed version of American history, but one that highlights the greatness of American exceptionalism while acknowledging our low points. He and thousands of others believe that if a nation dwells on its mistakes and teaches multiple generations that our history is one of malice and deceit then the structural foundation will crumble and the freedoms granted by our Constitution will dissipate. Neither will happen tomorrow or even next year, but much further down the road. The distortion of our history will leave a future America bleak and fundamentally changed with citizens having little to no confidence in their fellow man, our Constitution or even the institutions of government which have helped make our nation as successful as it is. Thus, society would be victim to perceived experts. A negative conception of mankind and America would deplete our nation’s morale, allowing our great nation to fail and hamper the ability to help those less fortunate and even our capability to defend ourselves. For those short sighted individuals who cannot comprehend why or how this would happen, consider the following metaphor. Surely, many readers have been a part of a championship team or a very successful sports program. They are the pinnacles of their leagues and many teams envy them. Likewise, those same readers have been a part of a dismal sports program that consistently loses and is plagued by mediocrity and failure. They are a laughing stock to their conference. The championship team takes itself very seriously, believes in the philosophy and guidance of its coach and earnestly cares about the traditions in said program. They acknowledge their mistakes, but sincerely believe that any mistakes of the past can be overcome. The mistakes are not important to this team; the lessons learned from these mistakes are. At the same time, they focus and highlight the greatness of what they do to act as a model for future teams and teammates. They are successful because they are mentally tough and confident, priding themselves on exceptionalism while also working diligently to rid themselves of detriments to success. Take either of these programs, turn them into an educational curriculum, multiply that by thousands of school districts and America is left with two options. Option one is a future America that believes it can overcome any challenge and deserves to be the leader of the world for positive change because they always have been and they must defend that leadership so they do not fall wayside to the dust bins of history. This America recognizes its mistakes, but does not believe that they are a racist, sexist, and evil people, but simply a nation that constantly works for a “more perfect union.” Option two is bleak. It is a nation that has no confidence in its government, does not believe it can contribute anything positive to the world and dwells on a past full of regret and haphazard attempts to remedy situations. Therein lays the stark difference between conservative thinkers and progressives. Conservatives argue a forward thinking model that sincerely believes our best days are ahead of us. Progressives rely on a negative concept of America and think we must focus on our past transgressions much more than our potential future success. The Oklahoma lawmaker was performing his duty as a public servant to ensure our public education promotes an America that can pride itself in its roots, acknowledge its mistakes and work for a better future rather than teach our children they are growing up in a barbaric society and nation.